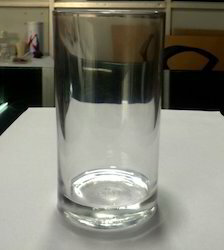 Pioneers in the industry, we offer glass tumbler from India. Our offered Our offered Glass Tumbler comes in a unique shape and curves fits perfectly in the hand of any family member. Moreover, the clear colon allows refilling your guest’s glasses with ease and helping to curb spillage, while also minimizing your clean-up duties throughout a party.